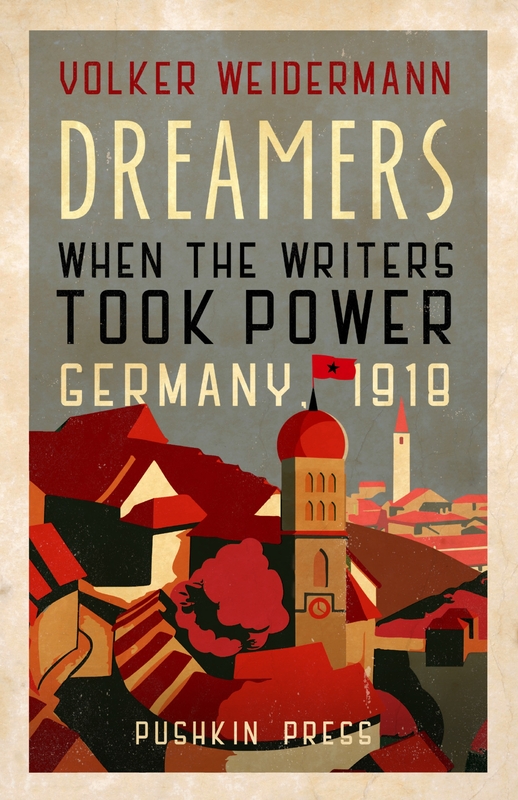 Volker Weidermann’s history of the Bavarian revolution can be read like a novel. Events lead to further events with the seamlessness of great storytelling, and the personalities of the time stand out with a vivid spectral life. When the Writers Took Power begins at the end of a costly and unwinnable war. Soldiers abandoned their barracks, tore off their insignia and marched with professional activists and civilians caught in the rush of the moment. They took the Residence, the military prison, the army HQ, government ministries. A revolutionary council doled out ammunition and sent the mutineers to occupy public buildings. The royal family waited until dusk and fled the city. The revolution coalesced around a diffident social democrat named Kurt Eisner – a theatre critic, of all things. The poet Oscar Maria Graf recalled that on the night of the takeover Eisner ‘was pale and his expression deadly serious; he didn’t speak a word. It almost looked as if the sudden turn of events had taken him by surprise. Now and then he would stare straight ahead, half fearful and half distracted.’ Eisner wanted a minimum wage, an end to the war, a welfare state and an eight-hour day and was prepared to fight for them. Not to be. Eisner’s fledging programme of ‘permanent democracy’ began to unravel in a matter of weeks: the far left hated him, the far right (already working on its stab-in-the-back myth) hated him more, and the rural population simply did not care, no matter how many earnest delegations Eisner sent their way. (‘I’m sure you’ll do all manner of clever things… but out here no one gives a fig!’ a peasant shouted at Oscar Graf.) In the Landtag elections, Eisner’s party was bulldozed. He won three of a possible 180 seats. And then Eisner did something incredible. He resigned. In the face of death threats, Eisner reassured a colleague: ‘You cannot avoid an assassination attempt for ever, and after all, I can only be shot dead once’. He refused guards on his journey to the Landtag, where he planned to give his resignation speech… and was shot twice, en route, by a madman named Count Arco. The assassin Count also killed the Prime Minister, and inside the Landtag, a devotee of Eisner shot the SPD’s Ernest Auer, believing him responsible for Eisner’s murder. ‘It is more pleasant not to govern,’ Weidermann writes. ‘These weeks see the arrival of dreamers, winter-sandal wearers, preachers, plant-whisperers, the liberated and the liberators, long-haired men, hypnotists and those who have been hypnotised, dreamers. Anyone coming to this luminous city is themselves illuminated.’ And what creatures emerged from the shadows in the wake of Eisner’s assassination! ‘They were entirely unprepared for it all,’ Weidermann writes, ‘after 900 years of the Wittelsbach dynasty, after losing an unloseable war. There were no historical precedents for them to draw on. Direct, permanent democracy; everyone having a say in everything. A government of fantasy and fictions. They wanted the best and created horrors.’ That last line could be the epitaph for so many revolutions: Soviet Russia, Mao’s China and the Venezuela currently imploding under Maduro. And yet… was the German revolution really so bad? For it led to the Weimar Republic, those years of liberty and brotherhood, before the Nazis smashed it (the squabbling German leftists could not even forget their differences to resist Hitler: Luxemburg’s murder cast a long shadow). It’s in human nature to strive for something better especially when you see the poverty and casual cruelty in capitalist societies these days. We are all dreamers, Weidermann says. But reading his book the lure of revolution is more visceral. Reading Weidermann you can smell the cordite and hear the night’s swift footsteps. This entry was posted on January 27, 2019 at 8:45 pm and is filed under Political. You can follow any responses to this entry through the RSS 2.0 feed. You can leave a response, or trackback from your own site.